- 4-year bachelor's degree in Finance and Accounting or related major; 2 years work experience required. - 2-year degree from an accredited university in Finance and Accounting or related major; 3 years experience in finance and accounting or related professional area. - Hotel accounting experience is an advantage. 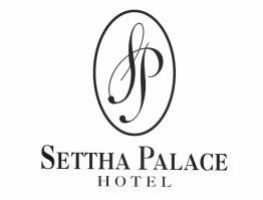 The luxurious Settha Palace Hotel is a 29-room colonial boutique property built in the 1930s in Vientiane, Laos. The hotel is managed by Belmont International Hotels and caters to high end tourists, bankers, diplomats, businessmen & world leaders. In 2016, our notable guests were IMF Chief Christine Lagarde, Mdm Aung San Suu Kyi, former UN Secretary General Ban Ki Moon and President H.E. Michael D. Higgins of Ireland. For our refined hotel operation which includes an elegant a la carte restaurant, a lounge bar, a side walk cafe, pool side dining, room service, a function room for 150 pax theatre style, 2 resort-style massage rooms, and a gym, we are now welcoming applicants for the position of Management Accountant. The Management Accountant is responsible for preparing the monthly Financial Package. He /She is also responsible for assisting the Financial Controller in guaranteeing that the Accounting Department operates smoothly and efficiently. In order to do this the Accountant must maintain the General Ledger as well as have a good working relationship with other department in the hotel. Responsible for daily auditing to all records pertaining to revenue of the hotel. Prepares and complete daily reports and prepares relevant documents for incorporation in the monthly accounts. Perform any other duties as assigned by the hotel's management. Economy air ticket, tax free salary, suitable on site accommodation, laundry, duty meals, medical insurance and compensation in line with the size of our small operation. This is a single-status position only.